At 5:12 p.m. EDT, the Soyuz hatch closed between the International Space Station and MS-01 spacecraft. 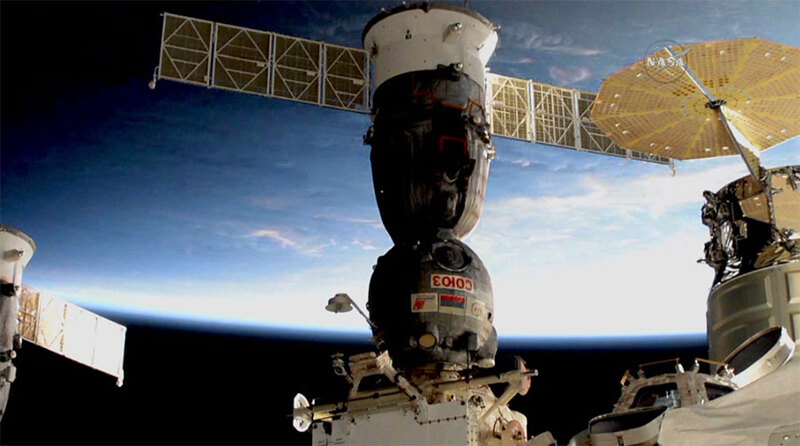 Expedition crew members Kate Rubins of NASA and her crewmates Anatoly Ivanishin of the Russian space agency Roscosmos and Takuya Onishi of the Japan Aerospace Exploration Agency are preparing to undock at 8:35 p.m. NASA Television will provide coverage beginning at 8:15 p.m. The deorbit burn is targeted for 11:06 p.m., and will lead to a landing at 11:59 p.m. southeast of Dzhezkazgan in Kazakhstan. NASA TV coverage of deorbit and landing begins at 10:45 p.m. Watch live online on NASA’s website. The return of Expedition 49 wraps up 115 days in space for the crew since their launch in July. Rubins returns to Earth as the first person to sequence DNA in space. I’m very excited to see the live coverage on they’re return and would like to wish them a safe and happy journey home! Tuning in from California! I go to VHPS in Dubai and would like to now what it is like in space and have you ever been to the moon.In my school I am in year 5 and my age is 10 I love being th oldest in the class.Since are topic is space I would love to now All about you. hope you come home safely.